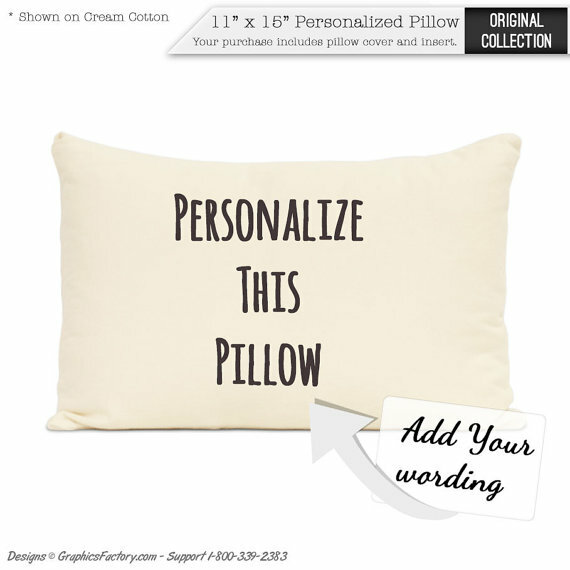 This pillow can be personalized with your wording and art. It is made out of 100% soft cotton and makes for great home decoration or for a great gift to a loved one. This pillow is handmade for you. This personalized pillow is available in several different sizes. It's a stylish decorative throw pillow cover with insert. Covers have a removable envelope style closure.